The battle cry in Florida: Jeb must go! They stood outside the Eissey Theater on the campus of Palm Beach Community College and cheered as their favorites arrived, former Attorney General Janet Reno, Tampa lawyer Bill McBride, and State Sen. Daryl Jones, the first African American to seek the state’s highest office. Those I interviewed outside the Eissey Theater were delighted that the three candidates laid the basis for unity behind the winner of the primary. Any of the three candidates would be better than Bush. Many were participants in the powerful grassroots coalition that delivered a majority vote for Al Gore during the 2000 election and the heroic post-election “Battle of Florida” to block the Bush-Cheney campaign from stealing the election. That grassroots coalition – the AFL-CIO, the women’s movement, the African American and Latino community, the senior citizen movement – is alive and well today even though they couldn’t stop the U.S. Supreme Court’s 5-4 coup d’état. Nearby stood Barbara DeVane-Gilberg. She is executive director of “We All Count.” A veteran labor organizer, she is also a member of the executive board of the Florida National Organization for Women (NOW). In Jan. 2000, she joined State Rep. Tony Hill and State Sen. Kendrick Meek in a 24-hour sit-in in Jeb Bush’s office in Tallahassee to protest his racist “One Florida” repeal of affirmative action. Now, she said, her mission is to deny him a second term. For Jeb Bush, DeVane charged, it is as easy to lose foster children as it is to mislay 50,000 ballots. She was referring to the scandal raging in Florida over the Department of Children & Families (DCF), which under Jeb Bush’s stewardship has “lost” 500 Florida foster children, several of whom died from beatings or other abuse. In a frantic effort to quiet the outrage, Bush fired DCF Director Kathleen Kearney and replaced her with his hand-picked choice, Jerry Regier. Then it surfaced that Regier had written an article in a Christian fundamentalist magazine, Pastoral Renewal, advocating extreme corporal punishment of children. The article condoned “manly love,” in which women are forbidden from working outside the home. When a child disobeys, “Smite him with the rod,” Regier wrote. 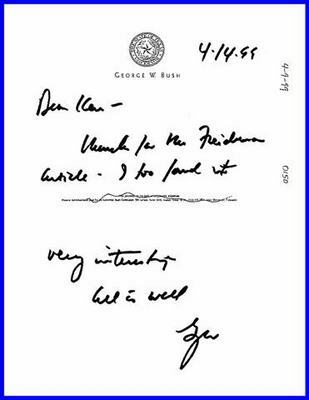 The leaflet blasts Bush for relying on the Florida Comprehensive Assessment Test, inflating student achievement in reading by excluding the lowest ten percent of those tested, mostly poor and minority pupils, “off-the-books” accounting methods that bring to mind Enron and WorldCom. “Florida is losing experienced teachers to Georgia because this state’s pay scale is (ten percent) below those for the nation and neighboring Georgia,” the leaflet charges. Bush invited the CEOs of Florida corporations to come to Tallahassee to lobby for this tax cut for the rich “at a time when we needed the money to pay for health care, to lower class size, to increase the salaries of our teachers,” DeVane said. An hour later, several hundred Reno supporters packed the Abby Bar & Grill in North Palm Beach, including about 50 members of the United Painters and Allied Trades (UPAT), AFL-CIO. Steve Hall, UPAT state political director, said, “Jeb Bush has destroyed the educational system in this state. We have more children going to school in portable trailers than in brick buildings. The teachers are overworked and underpaid. The classrooms are overcrowded.” Bush has enforced Florida’s Right to Work (for less) law with a vengeance, he said. Raiding Medicaid and Medicare is nothing new for Jeb Bush. In 1985, Jeb, then owner of a real estate agency in Miami, lobbied the federal government on behalf of his crony, Miguel Recarey, to approve Recarey’s health maintenance organization (HMO) as a certified Medicare provider. Bush’s influence paid off when Recarey, a confidante of Tampa mobster Santos Trafficante, was approved for a total of &#036;1 billion in Medicare funding by the Reagan-Bush Administration. Federal investigators launched a probe of Recarey and he fled the country under indictment for &#036;100 million in Medicare fraud. He remains at large today. Jeb Bush was never called to account for his role in this swindle. In 1988, the Washington Post reported that Jeb Bush and a partner defaulted on a &#036;4.5 million loan from a Florida S&L that had been approved for Bush with no repayment schedule. A lawsuit by federal regulators cited this Bush default as a contributing factor to the subsequent collapse of the Florida S&L for a loss of &#036;285 million for thousands of depositors in the Miami area. But with “Daddy in the White House” all was smoothed over and Jeb never answered for the losses suffered by these depositors. Jeb Bush is required under the state constitution to oversee the Board of Trustees of the Florida State Pension Fund. Bush pressured the pension fund to continue to buy Enron stock even after the energy trading corporation was plunging toward bankruptcy. The state pension fund lost &#036;300 million when Enron stock became worthless. Last January, even as this disaster was hitting the state, Jeb Bush attended a fund-raiser to benefit his reelection at the home of former Enron President Thomas Kinder in Houston. Jeb Bush has used secretive, autocratic methods to run the Sunshine State in the interests of the wealthy agribusiness, bankers, and real estate developers. It was natural that he and his Secretary of State, Katherine Harris, in the 2000 presidential election would hire an ultra-right outfit, Database Technologies, Inc. of Boca Raton, to “scrub” Florida’s voter rolls of 57,000 names, mostly African American and Latino, falsely identifying thousands as “former felons.” This racist scam, in flagrant violation of the 1965 Voting Rights Act, was central to George W. Bush’s theft of the 2000 election. A Miami judge refused to throw out the NAACP’s lawsuit charging that Bush and Harris violated the voting rights of these Florida citizens. The NAACP announced Sept. 3 that the State of Florida has agreed to a settlement of their lawsuit charging voting irregularities in seven counties. “We need to make sure that people keep focused on the target in this election,” Tony Hill, a former Jacksonville longshoreman and a candidate for the Florida Senate told the World. “Jeb Bush disrespected the African American community when he rammed through the ‘One Florida’ plan destroying affirmative action.